Back to Health is proud to offer the highest quality vitamins and supplements. All vitamins and supplements sold in the office are professional strength and are only available to licensed practioners. They are tested for purity and potency to ensure their quality. Highlighted below are just some of the products currently available in our office. How many CFU are in your probiotic? How many does someone need for good gastrointestinal health? Ortho Biotic is a unique probiotic formula of 20 Billion CFU, designed to deliver active organisms that have been shown to promote healthy gut flora, protect intestinal integrity and boost immune function. Each capsule provides 7 proven probiotic strains chosen for their ability to withstand the harsh gastrointestinal (GI) environment and adhere to the intestinal tract. 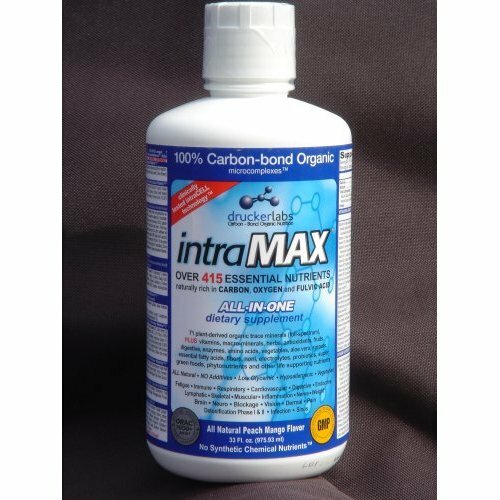 IntraMAX is a Carbon-Bond Organic Nutrition dietary supplement created with the finest and purest ingredients obtainable. The way nature intended. IntraMAX is the most comprhensive All-In-One liquid nutritional supplement available. Every bottle contains over 415 essential 100% Carbon-bond Organic microcomplexed nutrients along with 71 Organic trace minerals and other health promoting “super foods”. IntraMAX delivers the most rapid and near-perfect infusion of vital essential minerals and nutrients to your cells. 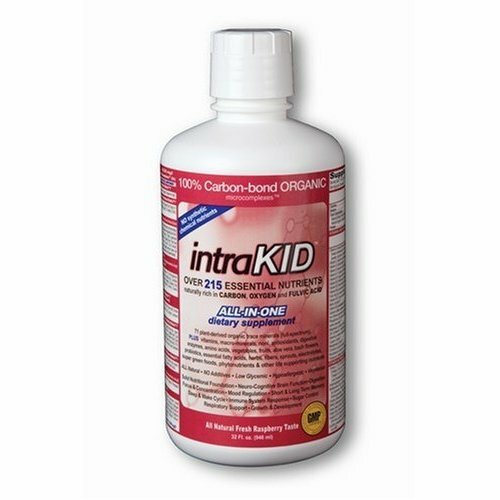 IntraKID is the most comprehensive nutritional supplement available for children. Formulated specifically for kids, intraKID combines a complete set of organic trace minerals, vitamins, and other essential nutrients. These are perfectly balanced to meet the critical and special needs of younger patients. Regular use of intraKID can help reverse the effects of poor nutrition and provide serious support growing kids need. Are you searching for a way to naturally treat seasonal allergies? 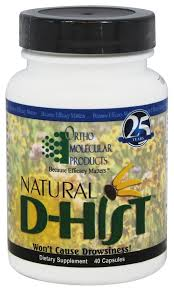 Natural D- Hist includes quercetin, a powerful flavonoid, to support healthy histamine levels. Bromelain enhances the absorption of quercetin and supports mucosal tissue health. Stinging nettles leaf balance hyper-immune response and N-acetyl cysteine clear the airways by promoting normal viscosity of mucus. This powerful combination actively promotes healthy nasal and sinus passages for individuals with elevated histamine and respiratory irritation. Also available in junior form for Children. 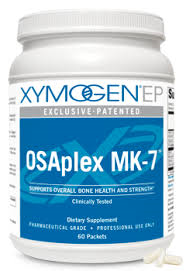 OSAplex MK-7 is a once a day calcium supplement with a proven track record of supporting healthy bones, cartilage, and ligaments. OSAplex MK-7 contains choline-stabilized orthosilicic acid, a well-absorbed form of silicon that has been clinically tested. Silicon-dependent enzymes link together single chains of amino acids to synthesize collagen fibers. The surfaces of these collagen fibers act as the binding sites for the MCHC. The more surface area available to the MCHC to bind to, the more flexible the bone. Heel Homeopathic Products are easy to use and gently activate the body’s self-healing powers. Heel Allergy is a homeopathic medication used to sooth runny nose, watery eyes, skin rashes, and hives. Luffeel Nasal Spray is a homeopathic medicine used for the temporary relief of symptoms of hay fever: itchy and watery eyes, sneezing and runny nose, and nasal congestion. 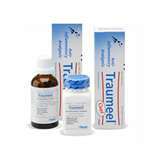 Traumeel® is used for the temporary relief of minor aches and pains associated with sports injuries, repetitive use injuries, sprains, backaches, muscle aches, bruises and muscle pain. It is available in ointment, gel, tablets, liquid, oral vials. Zeel is used for the temporary relief of mild to moderate arthritic pain, osteoarthritis and, joint stiffness. 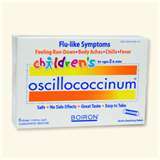 Oscillococcinum is a non-drowsy, no side effects, no drugs interaction flu and cold remedy for dry cough and chest congestion. Best for when you are feeling run-down, headachey, or suffering from body aches, chills, or fever. We also offer a full line of quality professional grade vitamins that suit the needs of children. All of our childrens’ vitamins are chewable and tasty to even the most discriminating tastebuds. 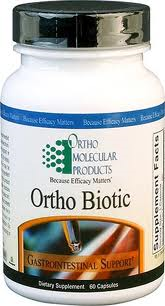 These brands include Nordic Naturals, Pure Encapsulations, Boiron, and Pharmax.